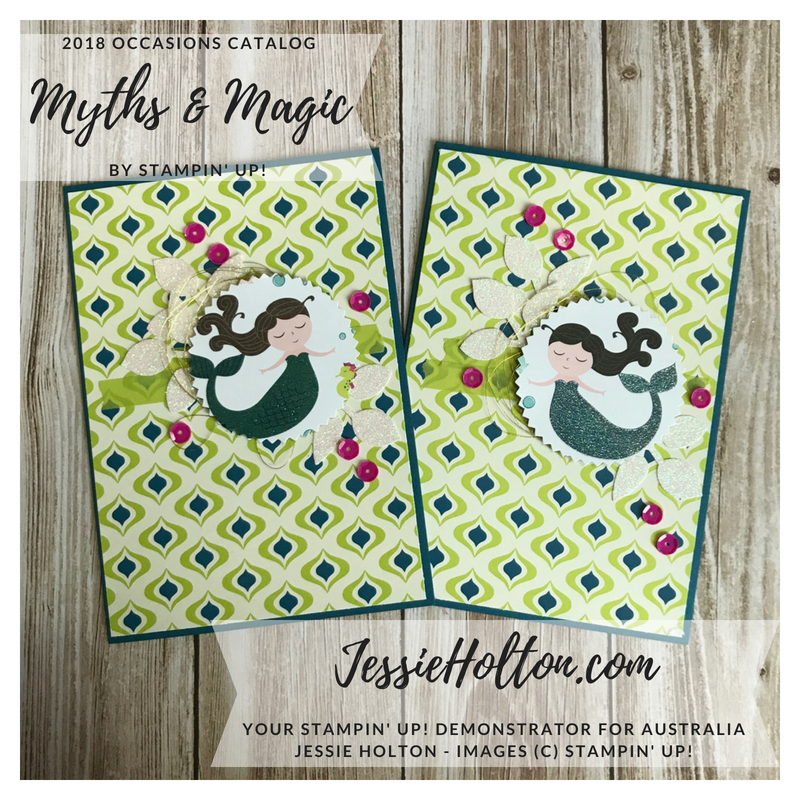 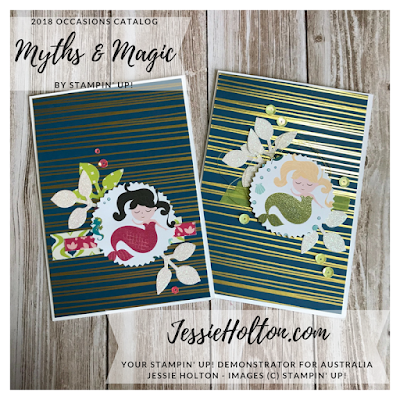 Jessie Holton - Aussie SU Demo : Myths & Magic with Eastern Palace - seeing double! 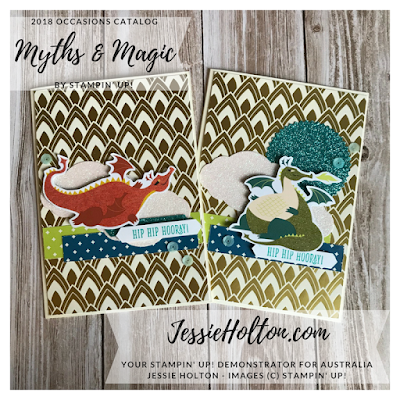 Myths & Magic with Eastern Palace - seeing double! 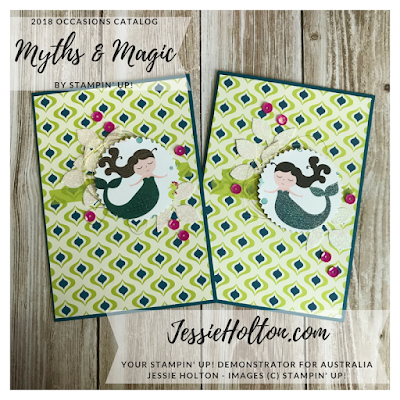 I've made a bunch more cards with the Myths & Magic DSP & the Eastern Palace DSP. 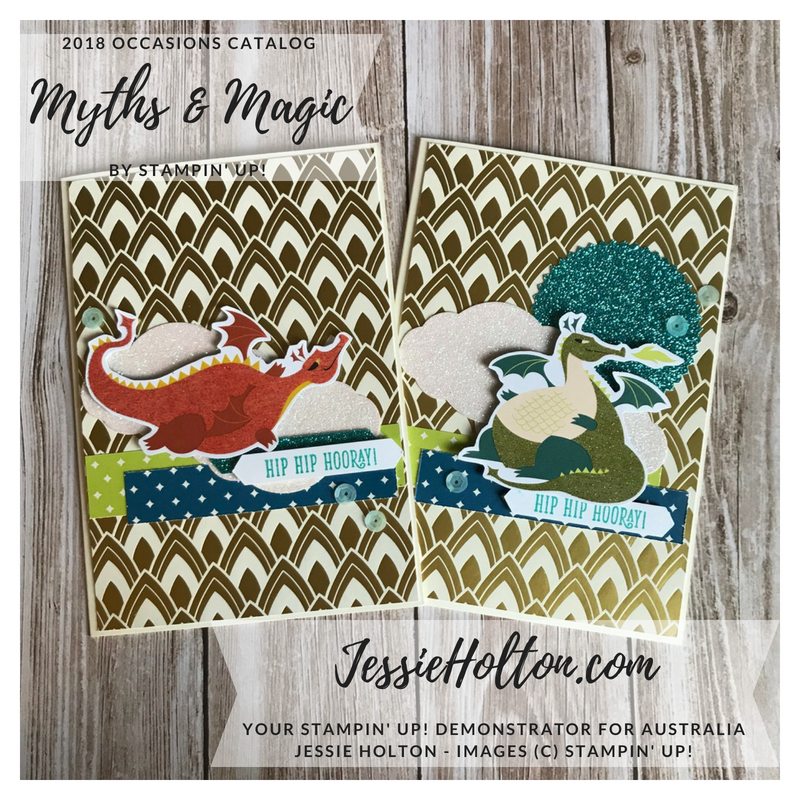 I've made two of each card, pretty similar. 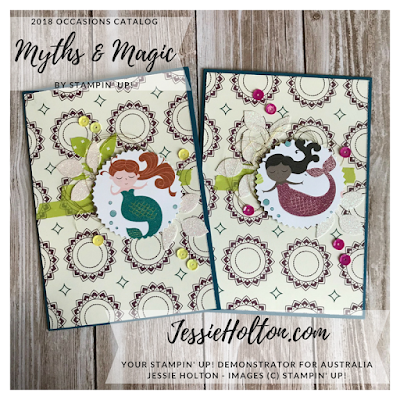 This is a great way to use up DSP & scraps, & bulk up your stash. I've also left some of them sentiment free, which means I can use them for any occasion, add a sentiment when I need them or just leave them & write a nice message inside. I've also used the Myths & Magic Glimmer Paper, Pretty Label Punch, Happy Birthday Gorgeous stamp set, Classic Label Punch, Leaf Punch, Starburst Punch, Gold Metallic Thread, Tutti Fruitti Washi Tape & Tutti Fruitti Sequins.